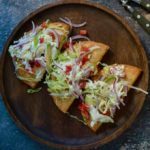 Do you know about this thin flat bread that rhymes with Mexican cuisine? I am of course talking about tortilla. Mexican tortillas have nothing to do with tortilla española, the famous Spanish omelette that Vera prepared for us last year. 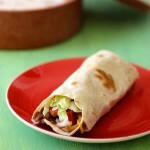 Tortilla, which means small torte or cake, is the basis for a number of Mexican recipes including burritos and tacos. Tortillas were originally made with maize (corn) flour by the native American populations before the arrival of Europeans. 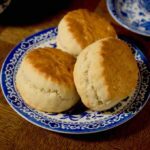 Flour tortillas are a more recent creation with an interesting history. Jews, who fled the Spanish inquisition in the fifteenth and sixteenth centuries, mostly migrated to Northern Mexico, where they could practice their religion freely. Although there is no evidence of a connection between Passover matzah bread and flour tortilla, it is indeed the Spanish Jews who introduced the wheat flour adaptation of the flat bread to Mexican cuisine, along with a few other mainstays of Northern Mexican cuisine such as cabrito or roast goat kid, a specialty of Monterrey and the surrounding state of Nuevo Leon, as well as albondigas or meatballs, a Sephardic version of matzah balls. 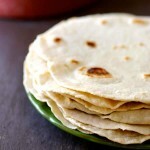 This is the main reason why flour tortilla is mostly used in Northern Mexican versions of quesadillas, tacos or burritos, but also in Honduran baleadas. According to a Mayan legend, a peasant initially invented tortillas for his hungry king. The first tortillas that were discovered date back to approximately 10,000 BC. 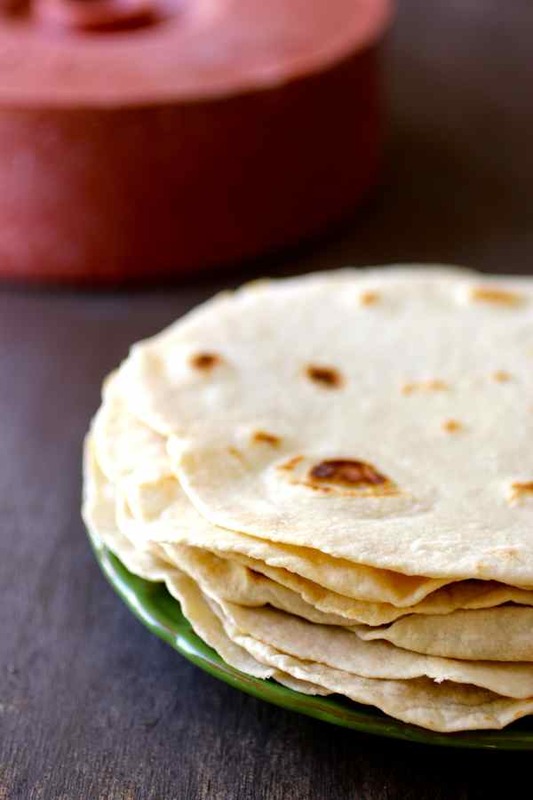 When the Spaniards arrived in Mexico, they gave the name of tortilla to these thin maize-based flat breads. In the south of Spain, tortilla was a thin, crispy circular bread made out of chickpea flour. Before that, the native Nahuatl name for tortillas was tlaxcalli. We love to bake bread on 196 flavors, but flat breads seem to have our preference. 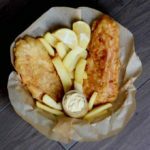 If you prefer classic recipes, you might want to try recipes with wheat flour such as Greek lagana bread or lepinja from the Balkans. If you are as adventurous as we are, you might want to go for Ethiopian injera with teff flour, Algerian durum wheat flour-based kesra or even Somalia’s lahoh, a very unique flat bread with a yeast starter and a mixture of wheat flour and cornmeal. There seems to be a disagreement about the use of a leavening agent in the flour tortilla. 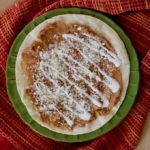 Most homemade flour tortilla recipes do not call for baking soda or baking powder but you can add a little pinch if you want to. Our Mexican culinary expert Mely suggests using a pinch of baking powder if you want to, but it is not mandatory. I tried both recipes and didn’t really see any difference in the end result. Tortillas taste better when they are fresh and warm. In order to keep them warm, you can use a tortilla warmer. 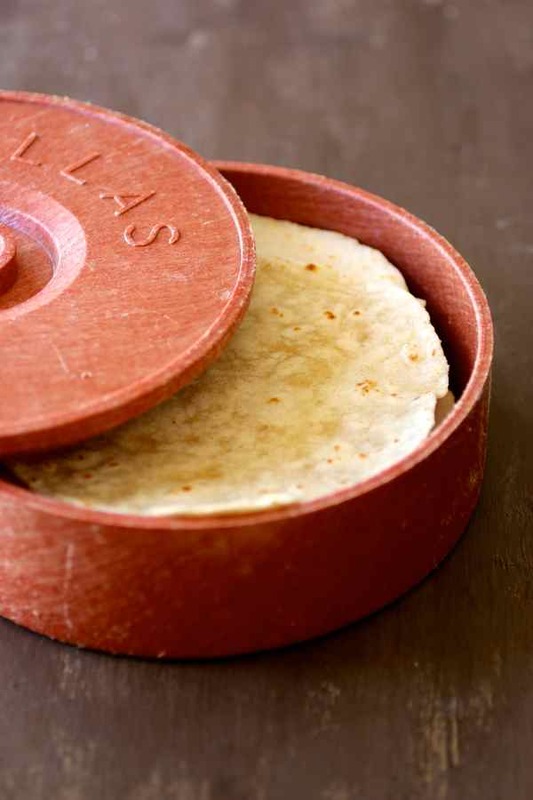 If you don’t have a tortilla warmer, you can wrap your homemade Mexican flour tortillas in aluminum foil or a damp towel and keep them in a slow cooker or oven set on low. Tortilla is a staple food that is used to make a number of Mexican dishes. 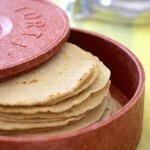 There is often a confusion between tortillas and the names of the various Mexican dishes that tortillas are used for. 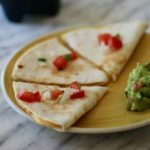 Quesadillas are tortillas filled with melted cheese, burritos are filled with beans, cheese and/or meat. There are also tacos, fajitas, taquitos, tostada and the whole enchilada! I used my flour tortillas to make burritos, with meat, beans and cheese. 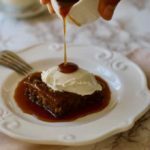 A delicious recipe with another fascinating story behind it. This authentic flour tortilla recipe is validated by our Mexican culinary expert Mely Martinez from Mexico In My Kitchen. A flour tortilla or tortilla de harina is a thin flat bread from Mexico which is used in recipes such as burritos or tacos. In a large bowl, place the flour, salt and mix. 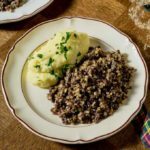 With the help of a fork, pastry blender or your hands, incorporate the shortening (or lard) until it resembles coarse meal. Slowly add the hot water a little at a time until the dough holds together. Do not add all the water at once. 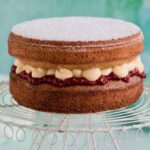 You might need a little more or less water depending on the flour and the climate. Divide the dough in 8 pieces. Roll every piece on your work surface with the palm of your hand to form a little disc. Those discs are called testales. Cover the testales with a damp kitchen towel or plastic wrap, and let the dough rest for 30 to 45 minutes. 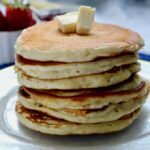 After the resting period, place an ungreased griddle (or comal) over medium heat. You can also use a non-stick pan. With a rolling pin, form the tortillas on a lightly floured surface. To form the tortillas, place the testal onto the working surface and press slightly with your hand. Then, set the rolling pin at the center of the testal. and press forward without making it to the edge and then press backwards towards yourself stopping before the edge. Turn the tortilla 90 degrees (like a quarter turn) and repeat pressing forward and then towards you. Flip the tortilla and repeat the same process until you have a thin disk of about 10 to 12 inches. Now, place the tortilla on the hot griddle. Bake 20 to 30 seconds on one side. Turn the tortilla, and bake for 20 to 30 seconds. Turn again and heat for about 10 seconds. Remove the tortilla and wrap with a kitchen towel or place in a tortilla warmer. Repeat the steps with the remaining testales. 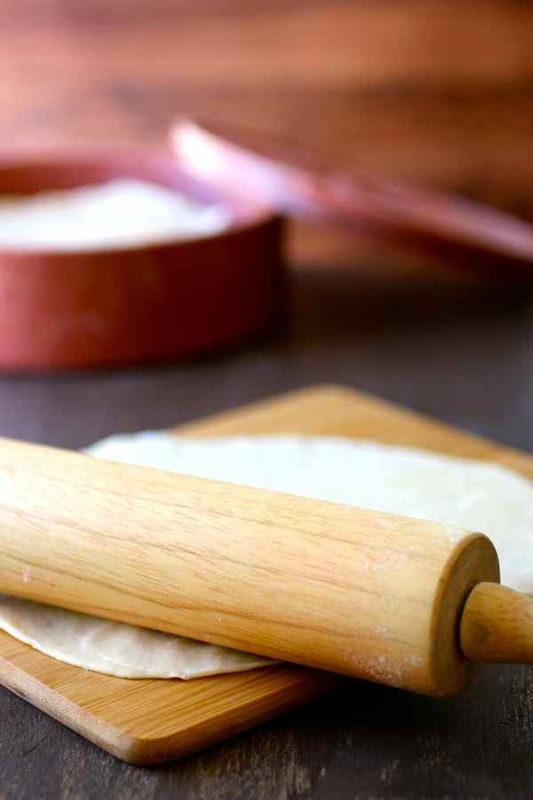 I prefer using the rolling pin…it’s therapeutic and helps me hone my tortilla rolling skills. I only have one issue: my tortillas are slightly yellow tinged instead of white, dried out a little and not as soft and pliable like my mother used to make…hers were soft and very white; always perfect for rolling burritos. I had that happen before. For me it was the flour was old. Fresh bag of flour and my tortillas are white again. Finally! 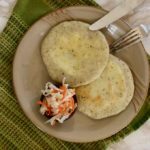 A tortilla recipe that uses lard! Love this. Thank you!